If you are on this page of our website, you may be suffering from excruciating pain resulting from trauma. You may have already been diagnosed with Complex Regional Pain Syndrome. Complex Regional Pain Syndrome (CRPS), also known by the names Reflex Sympathetic Dystrophy (RSD) or Causalgia, is a chronic pain condition that can affect any area of the body but typically causes severe pain in the extremities. Doctors are not sure what causes CRPS, but they have recognized two distinct potential causes. One version of the disease develops in the arms or legs after a minor injury. The other form of the disease develops after a nerve is injured directly. However it is caused, both forms of CRPS share the same key symptom: an intense burning that gets worse over time and spreads from the point of injury to the whole limb and sometimes to other limbs. Automobile insurance companies will many times ignore or marginalize a CRPS or RSD diagnosis. As Birmingham complex regional pain syndrome attorneys, we have to communicate the debilitating nature of this injury and how it affects you. We can help you. Call (205) 324-1212 today to contact Farris, Riley & Pitt, LLP. You can arrange a free consultation and a complete evaluation of your case. Why Do I Need a RSD & CRPS Lawyer? If you or your loved one have suffered CRPS or RSD as the result of an accident caused by the negligence or deliberate conduct of another party, you could be entitled to compensation for your injuries. Unfortunately, you will likely have a very difficult time getting an insurance company to take a CRPS or RSD claim seriously on your own. In most cases, insurers disregard the severity of these injuries and offer victims settlements that are much less than what they need or deserve. Some people in desperate situations accept them for fear that they might not ever be able to recover anything more. Farris, Riley & Pitt, LLP is committed to getting justice. We can immediately handle all negotiations with an insurance company to ensure that you receive a full and fair settlement. Speaking to insurance companies without legal counsel often has devastating consequences. The companies often record the conversations, especially if they are taking place over the phone. In many cases, victims unknowingly make statements about their accidents that insurance companies later use against them. They can twist victims’ statements and use them as evidence of contributory negligence that lead to an inability to recover damages. The record of success at Farris, Riley & Pitt, LLP includes several multimillion dollar verdicts and settlements. You can be assured that our attorneys will fight to recover as much compensation as possible for your case. Kirby Farris obtained his undergraduate degree from the University of North Alabama and his law degree from Birmingham School of Law. Ken Riley earned his business degree at the University of Alabama and earned a juris doctorate from the Cumberland School of Law at Samford University. Our lawyers understand the variety and severity of complications that RSD and CRPS can cause. They will work closely with you and make sure you are fully updated on every single development in your case. Farris, Riley & Pitt, LLP helps RSD and CRPS victims on a contingency fee basis, so you pay nothing unless you receive a financial award. Even incidents that seemed minor may result in RSD and CRPS. In many cases, RSD and CRPS can begin with simple small bruises. CRPS-I — Also known as RDS syndrome, CRPS-I does not involve a confirmed nerve injury. CRPS-II — Also known as causalgia, CRPS-II involves an associated, confirmed nerve injury. According to the National Institute of Neurological Disorders and Stroke (NINDS), CRPS is more common in women but can occur in anyone at any age, and is most common among those between 40 and 60 years of age. CRPS is less common among the elderly and especially rare in young children. According to a January 2017 NINDS fact sheet, there is currently no specific test to confirm CRPS, as a diagnosis is usually based on an individual’s medical history as well as certain signs and symptoms. Testing is still important in these types of cases because it can rule out other diseases or ailments that require different treatment, such as arthritis, muscle diseases, or clotted veins. Erythromelalgia — Vascular disorder affecting skin of the feet and/or hands, including episodes of intense burning pain in these areas. Can also involve sudden widening of blood vessels in these areas. Symptoms will become worse during hot weather and more severe over time. Thalamic Syndrome — Also known as Dejerine-Roussy syndrome, neurological disorder caused by damage to the thalamus, the part of the brain responsible for mediating sensation. Can involve intense pain or loss of sensation. Disorder may affect multiple parts of the body. Slow tremors of hands, arms, legs, or feet may become more intense during voluntary movement. Carpal Tunnel Syndrome — The carpal tunnel is the median nerve that runs from a person’s forearm through a passageway in the wrist. Carpal tunnel syndrome is a well-known neurological disorder causing numbness, tingling, or other symptoms in a person’s hand and arm. It is frequently worsened when a person repeatedly overextends their wrist, as repeated motions contribute to swelling and compression of the median nerve. Conditions frequently linked with carpal tunnel syndrome include diabetes, thyroid dysfunction, high blood pressure, and autoimmune disorders, such as rheumatoid arthritis. Tarsal Tunnel Syndrome — A neurological disorder characterized by compression of the posterior tibial nerve that passes through the ankle toward the foot. Symptoms of tarsal tunnel syndrome can include burning, tingling, or numbness in the foot. Peripheral Neuropathy — Refers to a group of neurological conditions affecting nerves outside the central nervous system, most often in the hands and feet. Peripheral neuropathy may involve symptoms relating to sensory or motor malfunction, and it could affect single or multiple nerves. Victims may experience burning or tingling sensations, weakness, or numbness in the hands, feet, or other areas. In most cases, the identifying feature of CRPS is its repeated effects on an affected area. Magnetic resonance imaging (MRI) or triple-phase bone scans may be used to help confirm a CRPS diagnosis, as it is associated with excess bone resorption. Treatment of RSD and CRPS can be enormously costly for victims. Medications or other forms of therapy can all become prohibitively expensive, and some victims may be unable to return to work. Farris, Riley & Pitt, LLP can fight for you if you or your loved one is dealing with the complications of a RSD or CRPS diagnosis. Our firm will fight to help you obtain all of the compensation you are entitled to for medical bills, lost income, and other damages. What is the difference between RSD and CRPS? RSD is the name for one of two types of CRPS. CRPS-I, previously known as RSD, refers to people without confirmed nerve injuries. CRPS-II, also known as causalgia, involves a confirmed nerve injury. Can CRPS spread to other parts of the body? Without immediate treatment, CRPS frequently spreads to other parts of a victim’s body. Symptoms usually spread to the immediately neighboring parts of the body, but some cases can involve other parts of the body being afflicted. Can CRPS go into remission? CRPS may go into remission in which all signs disappear, but this is relatively unlikely to happen. In most cases, people deal with issues for the duration of their lives. Can CRPS be treated with medications? Doctors may prescribe any one of a number of possible prescription or non-prescription drugs to treat your CRPS. Over-the-counter (OTC) pain relievers are common, but stronger medications, such as opioids, may be prescribed in certain circumstances. Other possible medications include antidepressants, steroid medications, and bone-loss medications. Ketamine may be used in some cases. Are there methods of treatment for CRPS that do not involve drugs? Yes. Other possible forms of therapy include physical therapy, heat therapy, and mirror therapy. Transcutaneous electrical nerve stimulation (TENS) involves easing chronic pain through the application of electrical impulses to nerve endings. Spinal cord stimulation involves the insertion of tiny electrodes along the spinal cord to deliver an electrical current providing pain relief. Intrathecal pumps can pump medication into spinal fluid. For more than 20 years, Farris, Riley & Pitt, LLP has been helping victims of complex injuries such as RSD and CRPS. Our lawyers will fight to help you obtain all of the compensation you need and deserve. Are you or your loved one struggling with RSD or CRPS in Jefferson County because of an accident caused by another party’s negligence? 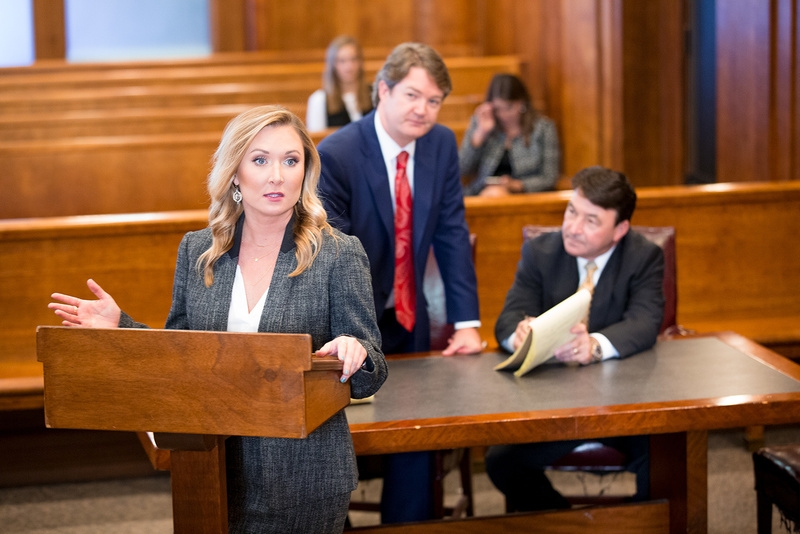 You can have Farris, Riley & Pitt, LLP review your case and discuss all of your legal options when you call (205) 324-1212 or contact us to schedule a free consultation.